Dog is fed up with Cat copying everything she does. But when Cat stays away, Dog realises that playing alone is not nearly as much fun. 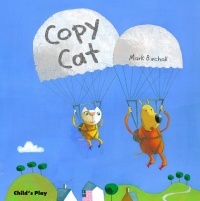 A charming story about friendship, sharing and play.